This study sought to understand the current situation with regard to the biofuels sector in South Africa. 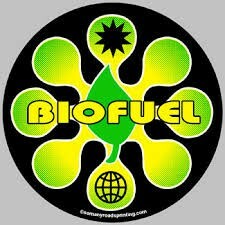 Thereafter it focuses in particular on the opportunity to produce bioethanol from waste streams within the Western Cape. During the course of the study, significant steps were taken by the Department of Energy with regard to the roll-out of the National Biofuels Industrial Strategy. In October, the mandatory blending date was gazetted as being the 1st October 2015. At the same time, the multi-stakeholder Biofuels Implementation Committee was constituted to deal with the outstanding issues requiring resolution prior to this date. Two of the most important matters on which clarity is still awaited are the final biofuel pricing mechanisms and the production incentive scheme. There is also no finality yet on the criteria that will be applied to identify producers that will qualify for production subsidies, as there is no guarantee that the granting of a biofuel manufacturing licence will lead to automatic granting of the subsidies. It is clear from close examination, that the National Strategy’s primary focus is the supporting of rural development and employment creation. Its focus is also only on the production of bioethanol and biodiesel for blending into the national fuel pool at 2% and 5% volumes respectively. 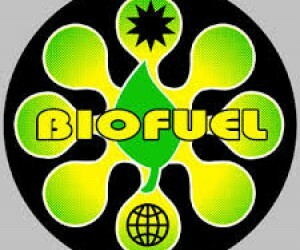 It thus makes no provision for waste-based biofuels production, nor for any niche opportunities such as high blend biofuels. This study has focussed on investigating the potential waste streams in the Western Cape that could be used to produce bioethanol. Findings are that the streams that are sufficiently aggregated, and can most easily be diverted from their current uses to bioethanol production are, grape pomace from the wine industry, citrus pomace from orange juice production, 10% of the total lignocellulosic agricultural wastes and the carbon monoxide component of the off-gases from the steel mill in Saldanha. Based on these feedstocks, using technologies that are currently commercially proven, it has been determined that a total of 359 million litres/yr of bioethanol could be produced in the Province. Furthermore, if crop-based production is also considered, a further 78 million litres/yr could be produced from small grains, and 12 million litres/yr from Jerusalem artichokes. This further production could be achieved without threatening food security, and while simultaneously creating employment opportunities and stimulating rural development. On the demand side, current liquid fuel consumption in the Western Cape, including petrol and diesel for transport, and paraffin for household use, amounts to just over 5 billion litres/yr of ethanol equivalent. In other words, the potential bioethanol production, from the waste streams discussed above, could supply over 7% of the annual fuel needs in the Province, and if the crop-based production were to be included, this would rise to nearly 9% of the demand. However, the development of a biofuels industry in the Western Cape is not without it challenges, and there are numerous factors that need to be considered. In the mid-2000s, the Western Cape Government appointed an inter-departmental task team which examined the potential for such an industry, and found that the national policy and strategy was not conducive to its development. However, in the interim, there have been significant changes on the technical, economic and policy fronts, both nationally and internationally. The current context thus provides both new opportunities, and new challenges. Despite the changes and advances at the policy level nationally, there is uncertainty as to whether the National Biofuels Industrial Strategy will meet its October 2015 biofuels blending targets, particularly as regards the 5% biodiesel blending level. On the basis of this and the aforementioned, it is concluded that, the business case for biofuels production in the Western Cape merits a detailed re-examination. This investigation should build on the work done by the Province’s Dept of Agriculture in the mid 2000s, prior to the finalisation of the National Biofuels Industrial Strategy in 2007. • Compare and contrast the business case for biofuels for blending versus biofuels as dedicated fuels, as well examine the use of bioethanol as a household fuel.